What would you name RIM's first BlackBerry QNX SuperPhone? With BlackBerry 7 Smartphones now available and/or soon rolling out from carriers around the world, in true CrackBerry fashion it's time to start thinking ahead.... to RIM's first QNX BlackBerry SuperPhone coming in 2012! We've already heard quite a few details on the rumored full-touchscreen, QNX-based phone that currently goes by the codename "Colt." With a 4.1" touchscreen it will be a mini-PlayBook of sorts - which means this will be one AWESOMELY POWERFUL phone. An awesomely-powerful phone deserves an equally awesome name, and with it being so different from previous BlackBerry phones before it we can only assume RIM will not choose to put it into one of the existing product families iike the Bold, Torch or Curve. Already in our CrackBerry forums a couple of threads have popped up brainstorming around how Research In Motion may choose to officially name the first of this new generation and line of BlackBerry SuperPhones. Could it be the BlackBerry Kraken (so Liam Neeson can dramatically announce it to the world)? Or maybe the BlackBerry Bolt or Slate? What about the BlackBerry Stealth? Or heck, just call it the BlackBerry SuperPhone. Personally I haven't given it too much thought yet, but for some reason kind of feel like the original codename of the Pearl Flip could be fitting here... the BlackBerry KickStart. Afterall, the "colt" will be kickstarting a whole new generation of phones for BlackBerry and hopefully mark a big resurgence for BlackBerry up the smartphone food chain. QUESTION OF THE WEEK: Let's get the brainstorming and discussion going here folks.... What would YOU name the first QNX BlackBerry SuperPhone? Drop a comment to this post with your suggestions and ideas. 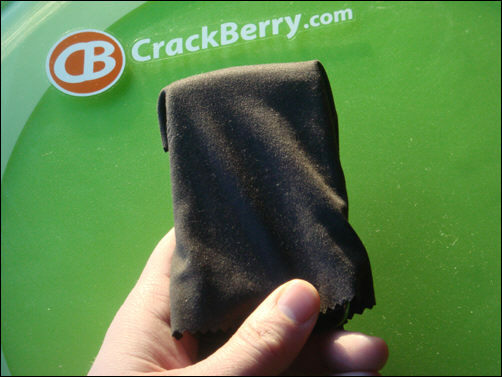 Wouldn't it be cool if we could look back in a few months and see that a CrackBerry member nailed the name? !